If you went to high school during the 90s, you may remember your friends singing along to that song on their walkmans. If you didn’t go to highschool in the 90s, you probably have no idea what I’m talking about, and let’s be honest, you are probably better off (What a weird song, right?!). The point is, even though finding a lump behind your ear will never be as much fun as dancing around to the “Lump”music video, lumps do not always signify a serious medical condition. Like most conditions, however, it is often beneficial to seek the advice of a healthcare professional. 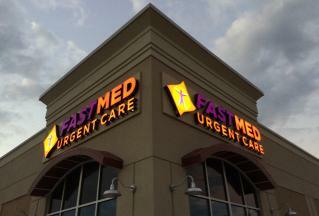 FastMed Urgent Care is a network of walk-in clinics that specializes in offering quality healthcare–fast. Our extended hours during the week, on weekends, and on holidays make us an affordable alternative to the emergency room for non-life-threatening conditions. Is a Lump Behind My Ear a Cause for Concern? When are lumps behind the ear dangerous? The most worrisome cause of a lump is cancer. A lump behind the ear is a common symptom of both head and neck cancer and cancer of the salivary glands. Like most conditions, early detection is vital in successfully treating these sorts of cancers. What are the treatment options for a lump behind the ear? Do you know who else likes to dance to 90s music? Dr. Kyle!! … Dr. Kyle works at FastMed and brings joy and fun to events in your community. Dr. Kyle exemplifies the qualities that are in each and every one of our providers: caring, respectful, accepting, genuine, encouraging and understanding. Stop by FastMed Urgent Care today!